‘Round we go! | "On Dragonfly Wings with Buttercup Tea"
This entry was posted in Hay(na)ku, Poetry, Reverse Hay(na)ku and tagged becca givens, carousel, childhood, daydreams, dreams, fun, Haynaku, horse, imagination, journey, lessons, life, magical, reverse Haynaku, round, Theme Thursday, wonderland. Bookmark the permalink. 17 Responses to ‘Round we go! what an amazing vision you show us as always , bravo ! Thank you! Appreciate you stopping by for a visit. Carousel’s are magical – especially at night when they are lit u. I always enjoyed looking at them more than riding them. Your words make me want tofind one to admire. Wonderland tickets available to all! Thank you for visiting, Brian!! The carousel, was one thing that always looked better, than the ride. But I like your write. Ahh, depends on if you have problems going around in circles :D! 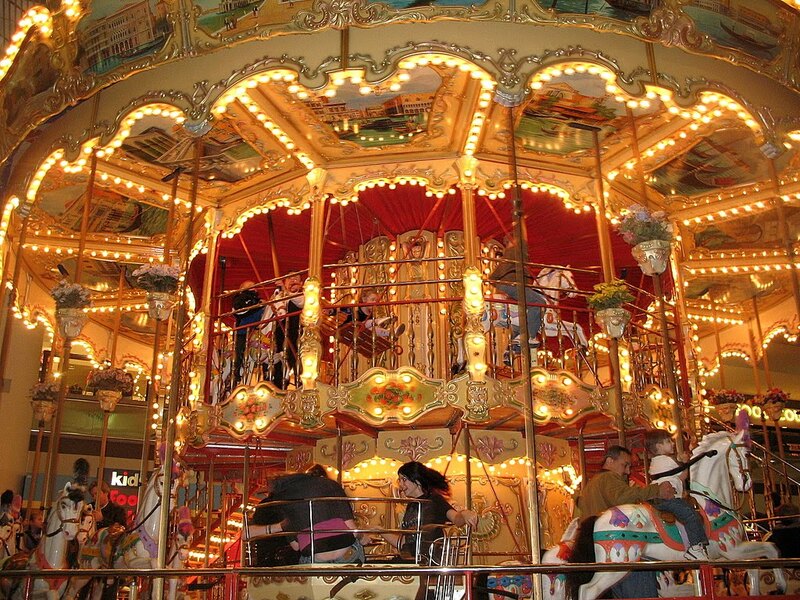 Carousels, especially the older ones, are a work of art and imagination! Steeds and child’s delight they go together on a carousel. This is a first time ever I got a response from you. Thanks a lot!